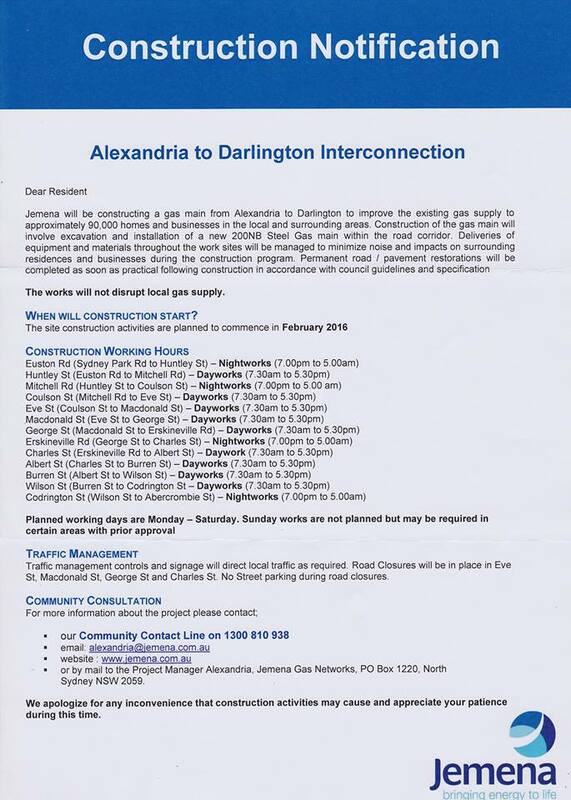 A new gas main will be installed from Alexandria to Darlington. There will be construction activity in Erskineville throughout February. No Replies to "new gas main"